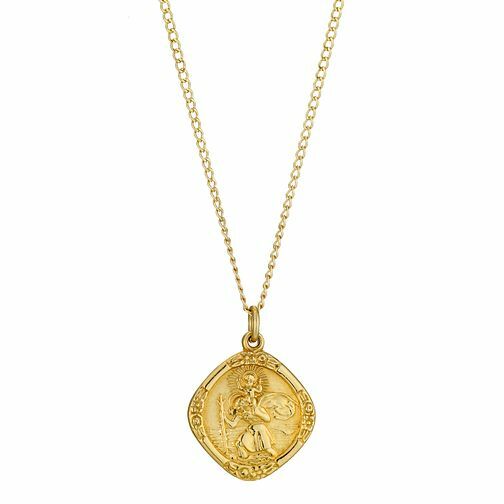 As the patron Saint of Travellers, this elegant St. Christopher pendant in yellow rolled gold, makes the perfect gift for someone close, who's about to head off on a new journey. Rolled Gold Diamond Shaped St. Christopher Pendant is rated 4.5 out of 5 by 28. Rated 4 out of 5 by Anonymous from Chain The item is very nice and worth the money .But the chain needs to be a bit bigger especially as it's a men's. It didn't fit my husband and I have had to go and buy a new chain at extra cost .It doesn't say what size the chain is in the description.